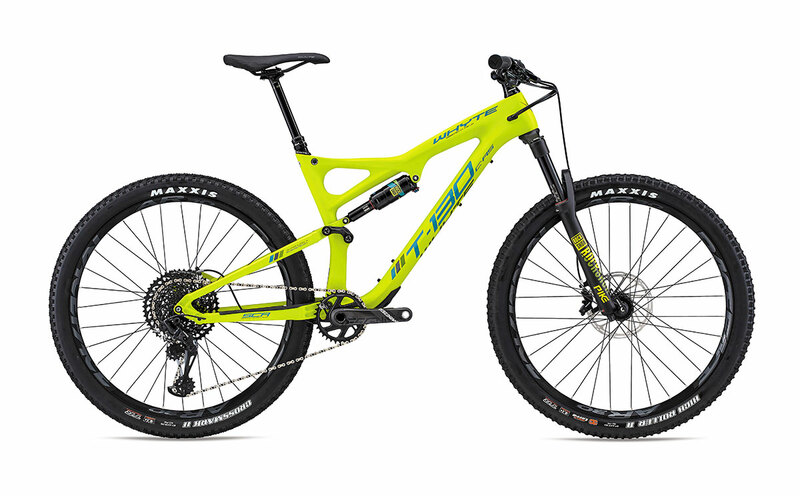 Whyte T 130 C RS – 5/5 award winning mid-travel trail bike for all-round versatility and game raising fun. 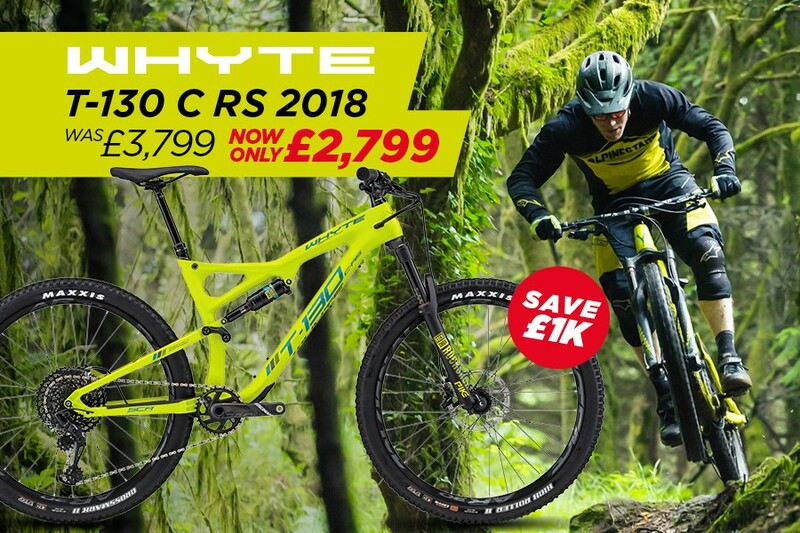 The T-130 C RS features Whyte’s “5/5 award winning” single ring specific carbon frame. A full width main pivot that increases torsional stiffness, extends bearing life and maximises suspension performance. SRAM’s all-new Eagle GX 12 speed drive-train is used on the T-130 C RS. This evolutionary groupset gives a massive 10-50 gear spread cassette, allowing the chainring to be increased to 34t, giving both top and bottom range improvement. RaceFace AR-30, 30mm wide, sleeved joint, UST Tubeless-ready rims are combined with Maxxis TR tyres to give exceptional levels of control. Boost 148mm rear and 110mm front hubs have 10mm wide flange spacing creating a stiffer wheel.